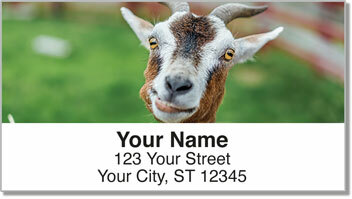 Every time you visit a farm or petting zoo, the most memorable animals you meet are those playful goats! Goats are one of the smartest domesticated animals in the world. They are adept escape artists, expert climbers and curious investigators of everything they can get their little nibbling mouths on. 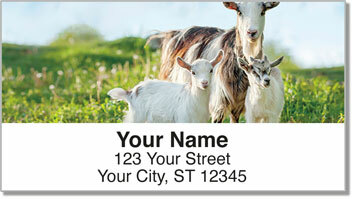 Goat Address Labels from CheckAdvantage will add some lighthearted country charm to everything you send out in the mail. Just peel and stick them on each envelope for an easy way to complete an everyday chore. 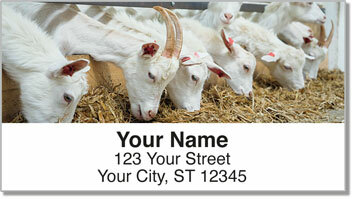 Order your very own Goat Address Labels right now! 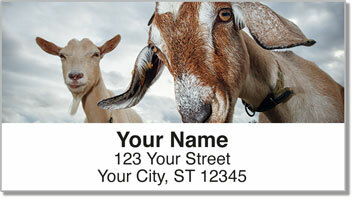 You'll also find this animal design in a set of matching personal checks.